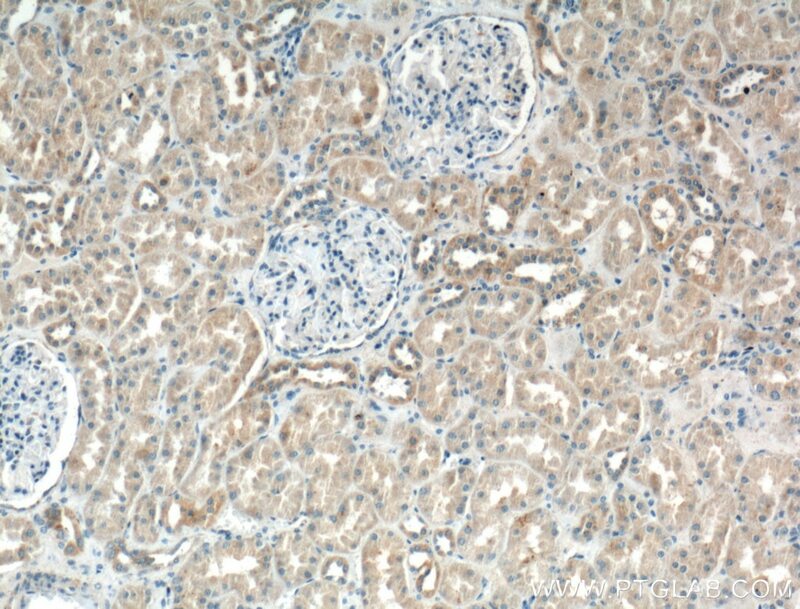 Immunohistochemical analysis of paraffin-embedded human kidney tissue slide using 24122-1-AP( Cd2ap antibody) at dilution of 1:200 (under 10x lens). 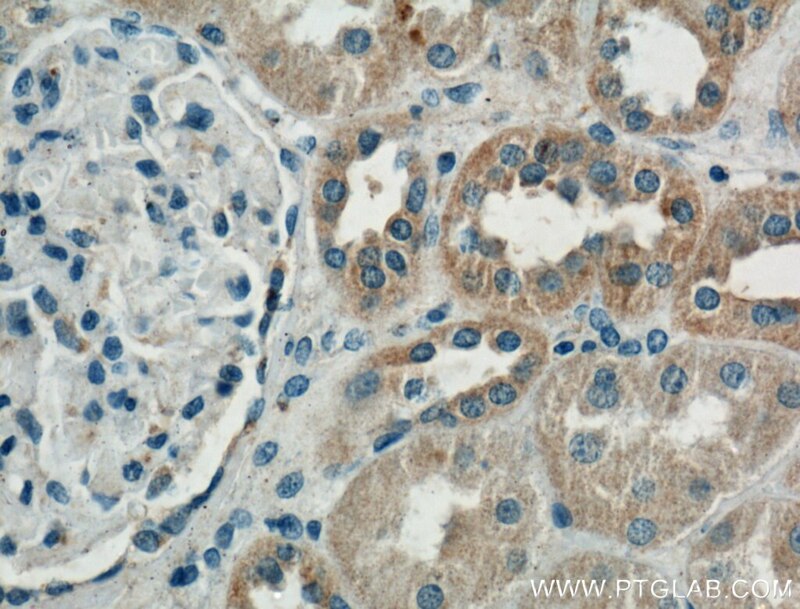 Immunohistochemical analysis of paraffin-embedded human kidney tissue slide using 24122-1-AP( Cd2ap antibody) at dilution of 1:200 (under 40x lens). Fractalkine is Involved in Lipopolysaccharide-Induced Podocyte Injury through the Wnt/β-Catenin Pathway in an Acute Kidney Injury Mouse Model.